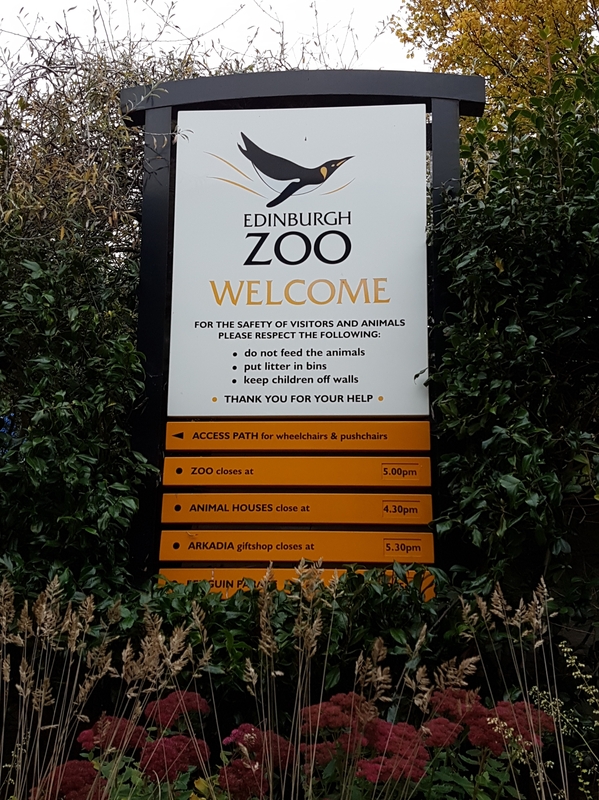 Edinburgh zoo was a short 10 minute drive from our hotel, on the outskirts of the city centre. Funnily, if we wanted to use public transport, we needed to get a tram from the city centre. Which meant driving was the best option for us. But if you do want to use public transport there are plenty of trams and buses available. The zoo itself is positioned on a hill so expect to do a lot of uphill walking as you go round. They also have the option of a mobility vehicle which will take you to the top of the zoo. From there you can then walk down to see the exhibits. We’d booked tickets online and had a slot for the panda viewing area pre-booked too. I’m very glad we did! 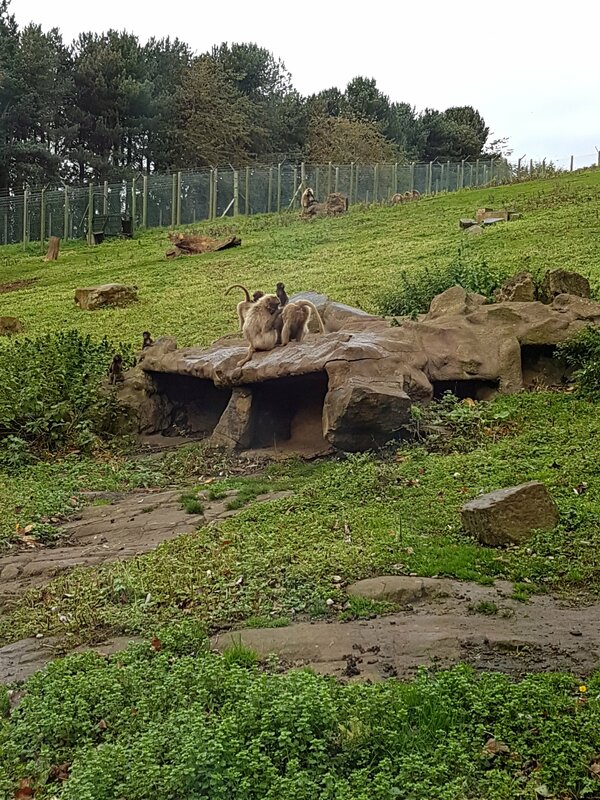 We saved money by booking online and were guaranteed a timed slot in the panda viewing area. However actually viewing the pandas is not guaranteed. The website warns they may be in their indoor enclosures. Once we arrived at the zoo a very helpful lady scanned our tickets and gave us a map. She also told us what talks were going on that day, which animals had babies we could see and if any animals wouldn’t be available to see. We found the map very helpful for finding our bearings. We headed in an anti-clockwise direction to see some of the smaller animals first, like the monkeys and birds. Our plan was to see the larger animals after lunch and after our panda slot. These guys were very loud! 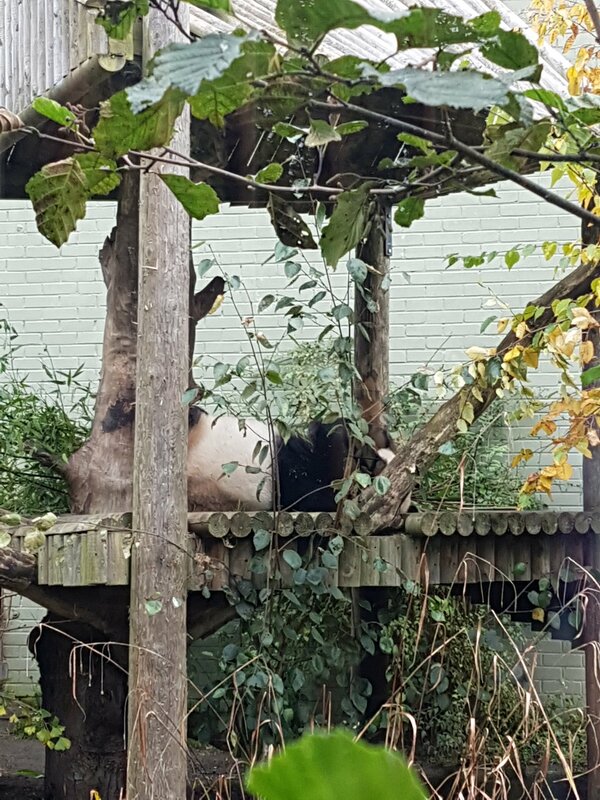 The panda viewing area gets very busy and we were lucky enough to see their male panda, Yang Guang (Sunshine) lounging outside. 🐼 There was a keeper giving a talk and you were able to take photos through the glass. The zoo offers many talks throughout the day. We chose the chimpanzee talk and met a very knowledgeable zoo keeper. During the talk found out that when a chimp is smiling they are in fact scared or angry and what we see as sad is actually a happy chimp! We ended up following the keeper and a group of others through the zoo to the Sumatran tiger talk. Along the way he told us interesting facts about the hippos and Scottish wildcat they had there. He really added to our visit and we’re glad we decided to follow him to the Sumatran Tiger talk. Along with his extensive zoological knowledge he also knew a lot about the environment. He spoke to us about parm oil which we’ve now looked up on and hope to help the environment more while we shop. We saw many different types of animal including koala bears and a sun bear, both of which I’d never seen in real life. 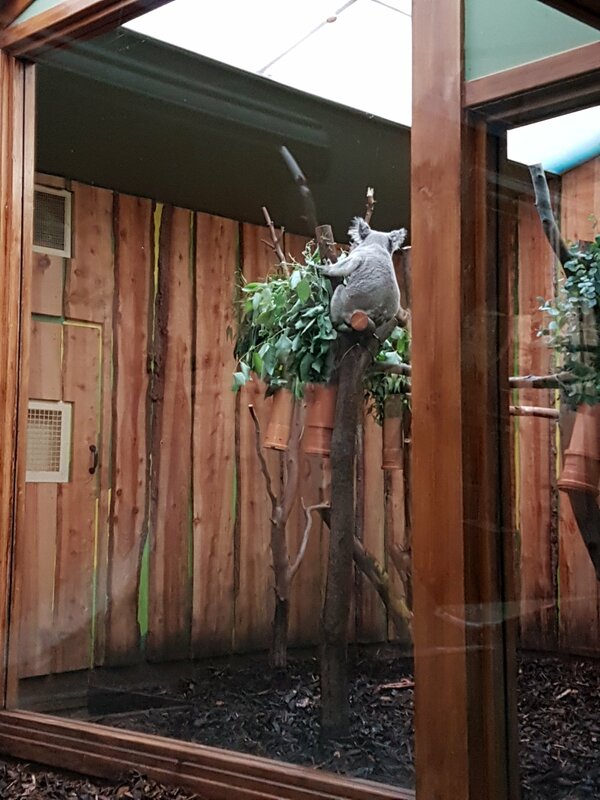 The koala bear had a baby with her, which was adorable to watch. We learnt that they (along with the giant pandas) have very sensitive hearing. We finished our day at Penguins Rock, which was my favourite enclosure. I’d never seen rockhopper or gentoo penguins in real life before and got a little excited. They’re my favourite animal. The penguin parade was spectacular. We thought it was a penguin feed but soon found out the penguins were able to walk out of their enclosure, if they chose to. No penguin was forced. With the keepers leading them and some following behind in case any tried to escape lol. 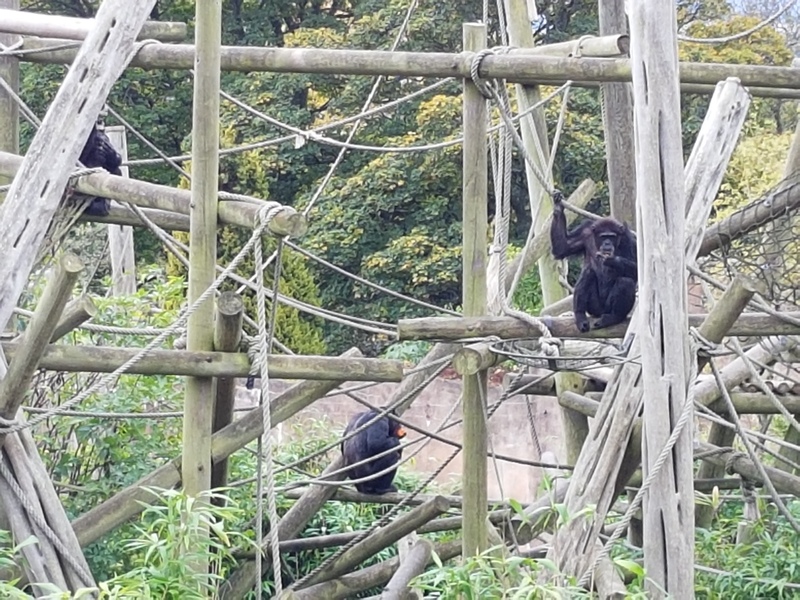 We had a great time at Edinburgh Zoo and I’d definitely go back again. We’re also planning to visit the Highland Wildlife Park next year. After arriving back at our hotel we used Facebook events to find out what was on in Edinburgh city centre that evening. 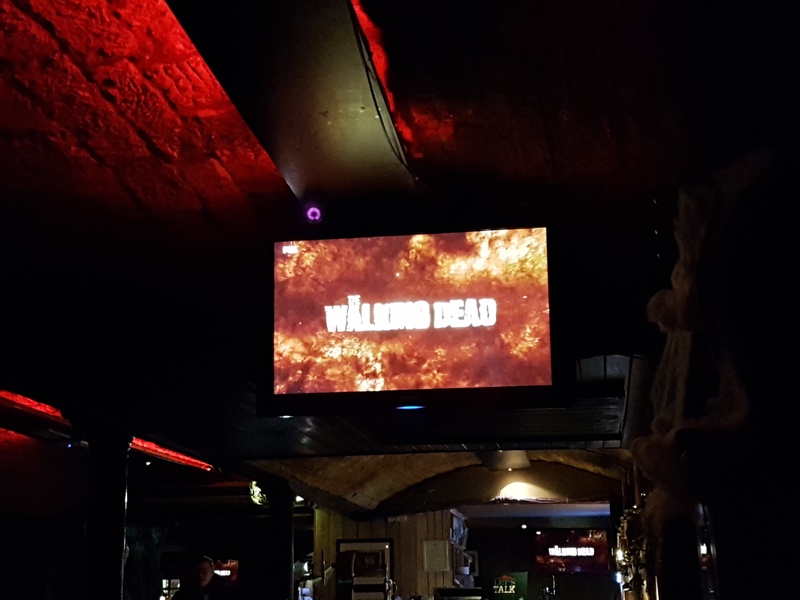 We found several things we wanted to do including a Buffy the Vampire Slayer pub quiz but ultimately chose to see the premiere of The Walking Dead seaaon 8, which was followed by a themed quiz. The event was being held at The Three sisters as part of their Zombie . 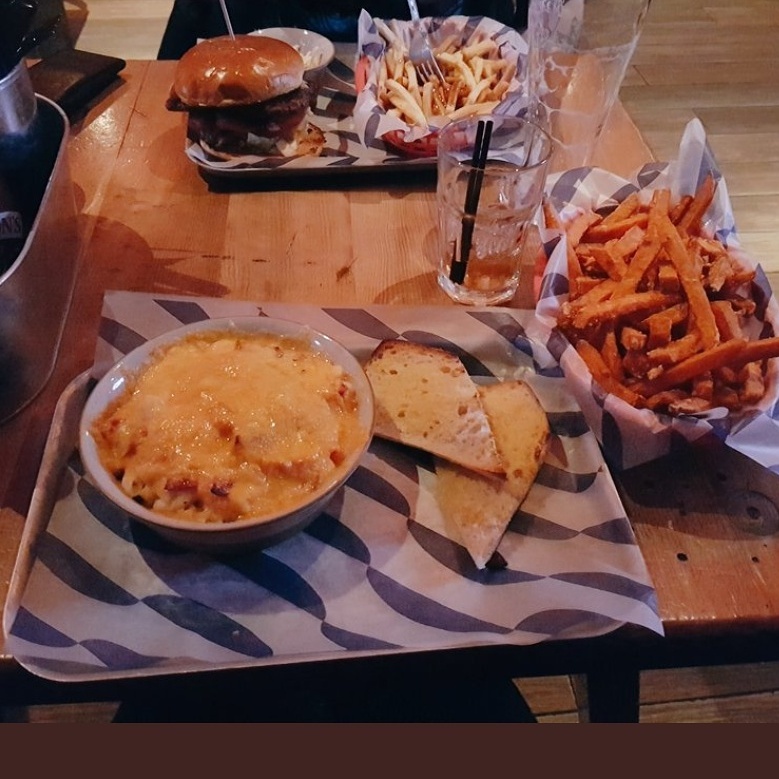 We had dinner there – a burger and mac and cheese which became a theme for the rest of our time in Edingburgh. The food was good but expensive as were the drinks. The atmosphere was perfect and they went to a great effort with their zombie themed decor. I’d definitely go to one of their themed nights again. I loved looking at your photos of the zoo! 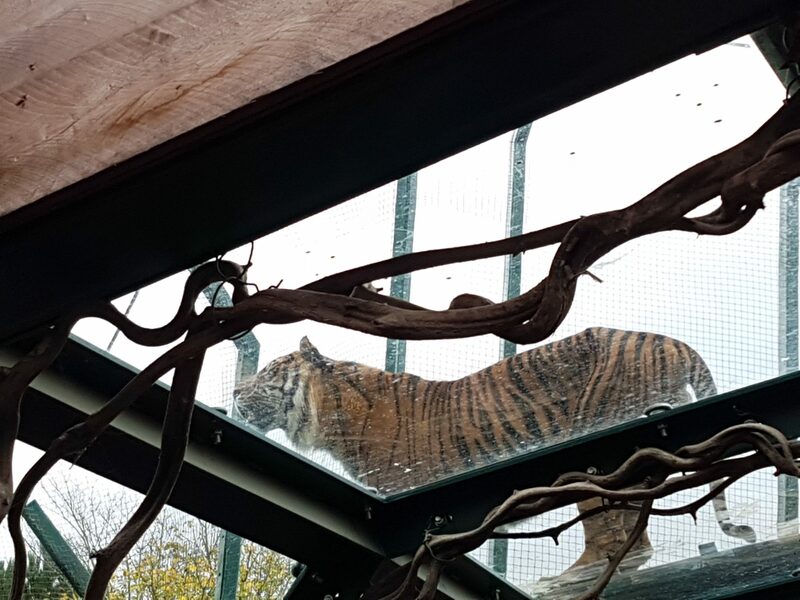 The shot of the tiger from below was awesome.